At the moment I'm too tired to do anything for my doll house. I think that the holiday took all of my energy. My mind doesn't coordinate my hands so that's a bit the problem at the moment. I hate MS at this moment. My neighbor was cleaning the attic and she found a magazine: Homes and antiques from august 2000. She thought I could use that for some information. 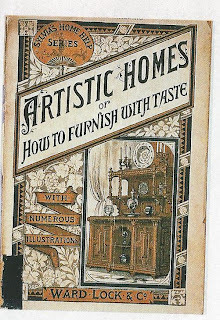 While reading I saw a picture of Artistic Homes, 1881. 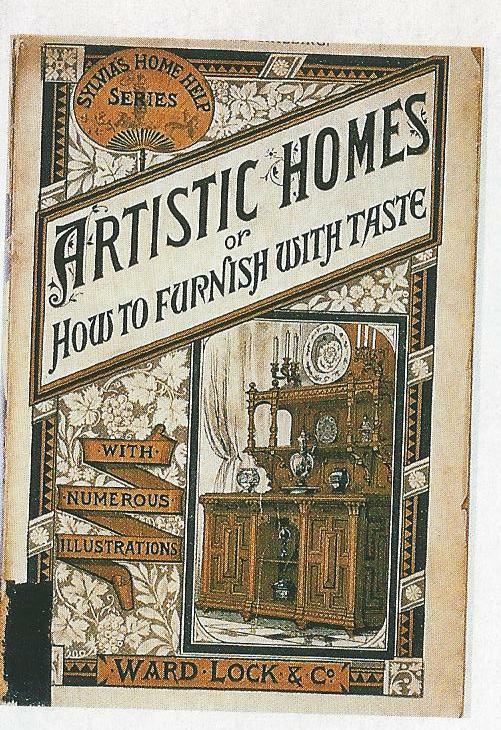 Interiors manuals became popular with the middle classes at this time. So I became very curious about this magazine and went surfing the net. Guess what I did find.....a complete E-book at the HathiTrust Digital Library. Maybe it's useful for your Victorian doll house. I like to read weather this E-book can be found. What a great link. Thank you for sharing it. I'm glad you had a nice and safe trip. I'm sorry to hear about your hand, and I hope you feel better soon...I always look forward to seeing yourt progress. De inspiratie komt vanzelf weer maak je maar geen zorgen. Bedankt voor de link. Thank you all for your kind words and support.